: April’s sisters arrive to help celebrate April’s upcoming nuptials and quickly get on her nerves. 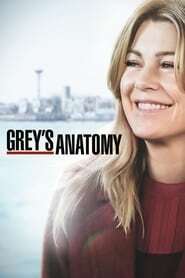 Matthew and Jackson are forced to work together when they witness a terrible accident, Callie and Arizona work hard to reestablish their relationship and Cristina is pressured to live stream an upcoming surgery. Meanwhile, a familiar face returns to the hospital.